Ken Mouradian is the Director of the International Trade Administration’s Export Assistance Center in Orlando. 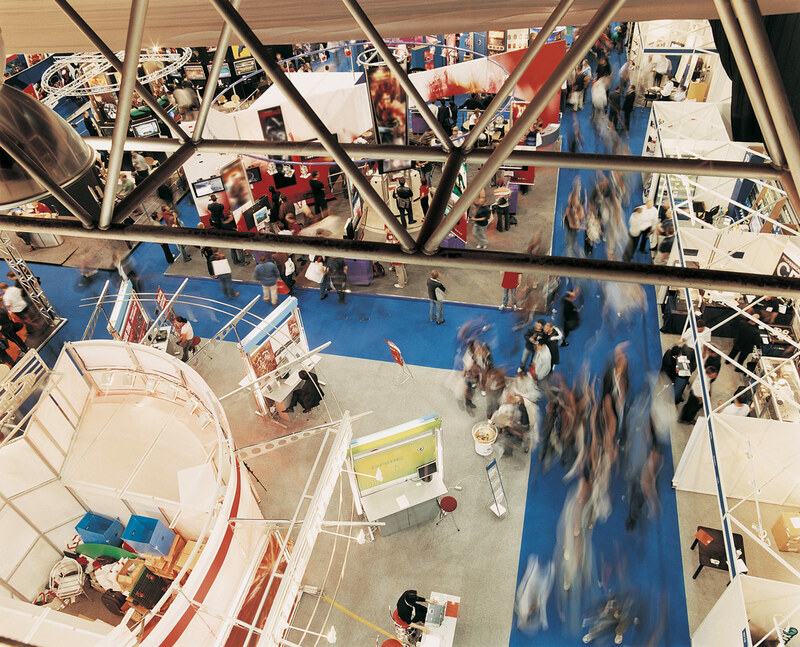 Our team can help you maximize export opportunities at trade shows. You’re walking the floor at a major trade show and, glancing to your right, you see two people seated deep in their booth checking e-mails on their phones. This closed off demeanor wastes two precious resources their company invested on this show, time and money. Stand. Believe it or not, you seem more open to engagement if you’re standing, smiling, and looking at people as they pass. By contrast, people are reluctant to distract you when you appear busy by sitting. Stage a conversation. If there are two of you in your booth, make it appear that one of you is learning about your company from the other. Believe it or not, people will look at something if someone else is looking; and for no better reason than that. This works less effectively if you’re wearing clothing that brands you as working for the same company or if you’re exhibiting alone. Never leave your booth unattended. If you need to go to lunch or the bathroom, unless you’re alone, there should always be someone in your booth. Raffles are better than hand-outs. People will take candy or pens without actually engaging with you. You can’t make connections and build a database if you don’t know who’s visiting your booth. You’ll get a lot more traffic to your booth if you raffle something of value – maybe something like a tablet – than you would otherwise. You’ll also be “buying” a contact list for the cost of the item that you’re raffling. For your raffle, it’s probably better to scan badges than to collect business cards because, to have their badges scanned, visitors to your booth will have to engage you. Also, for a raffle to work, people need to know about it, so advertise at your booth, conduct targeted mailings/e-mailings, and advertise in the show guide and directory. Conduct targeted outreach BEFORE the show. If you have a customer list, mail/e-mail your customers to remind them of your presence at the show and your booth number. Similarly, you can purchase contact lists (from the U.S. Embassy, from private vendors) and send marketing collateral with your booth number to qualified potential buyers before the show. And, don’t forget to mention your raffle! Advertise in the Export Interest Directory. Not every show participates in the International Buyer Program; however, for those that do, you can arrange one-on-one meetings with the leaders of foreign buyer delegations. If there’s a match to one of their delegates’ needs, they’ll bring their delegate to your booth to meet you. Similarly, foreign buyers use the Export Interest Directory to find potential suppliers. The easiest way to identify International Buyer Program shows is to contact your local U.S. Export Assistance Center. Remember, trade shows are an investment of both money and time. Don’t waste either. Use these six tips to maximize your investment, and be sure to call your local Export Assistance Center to learn more about how to take advantage of every opportunity that comes your way.